Dallas, TX – May 10, 2018 – Puration, Inc. (USOTC: PURA) today released an online presentation on the company’s cannabis cultivation business operation. The company entered the cannabis cultivation sector last year in 2017 with the acquisition of First Choice Nursery and the implementation of a long-term cannabis cultivation strategy to navigate the evolving legal environment and ultimately establish a recognized brand name in the cannabis market place. Yesterday, the company announced the acquisition of Canadian Cannabis Farmers Co-Op to position Puration for the recreational marijuana market expected to be legalized nationwide in Canada this summer. The online presentation is intended to provide more detail on the company’s long-term cannabis cultivation strategy to establish a recognized brand name in what is currently a $9.7 billion market place, according to ArcView Market Research, and expected to reach $24.5 billion by 2021. The presentation also includes details on the company’s plan to expand its existing cannabis infused beverage business into Canada. The narrative from the presentation is included in its entirety below. The presentation can be found on the company’s website. The acquisition of Canadian Cannabis Farmers Co-Op dramatically accelerates Puration’s cannabis cultivation strategy by entering the company into Canada’s estimated $5 billion market for recreational marijuana expected to be implemented this summer (2018). While the company has already initiated a long-term cannabis cultivation strategy in Texas, the existing legal medical marijuana market in Canada and their pending recreational market, move Puration’s plans to establish a recognized brand name in the cannabis market place several big steps forward. The company has already achieved notable success establishing brand name recognition for its EVERx CBD Infused Sports Water and now with the acquisition of Canadian Cannabis Farmers Co-Op, the company is positioned to achieve similar results with its cultivation business. Management has a unique strategy to differentiate itself from other leading brand names in Canada such as Canopy Growth Corp. (TWMJF), currently the largest pot stock by market cap in the world, and not too far behind Canopy, Aurora Cannabis (ACBFF), Aphria (APHQF), MedReleaf (MEDFF), and OrganiGram Holdings (ORGMF). Current estimates suggest these leading publicly traded cannabis company’s may not be selling recreational marijuana until sometime in 2019 after addressing all the licensing hurdles. Puration expects to establish a revenue foothold much faster through its unique strategy. Puration has implemented a long-term cannabis cultivation strategy to navigate the evolving legal environment and ultimately establish a recognized brand name in the cannabis market place. Through the acquisition last year of First Choice Nursery, Puration has already setup a 25-greenhouse operation in its home state of Texas where limited medical marijuana legalization has passed. The company is working to establish a university backed cannabis cultivation research facility within the 25-greenhouse operation. In the meantime, the facility is financed through being utilized for conventionally growing household and landscape plants. It is expected to generate $1 million in revenue this year and self-finance the expansion of the 25-greenhouse operation into as many as 400-greenhouses. Once, recreational marijuana is legal either through state or federal law, the Texas facility will be in a leadership position with a robust production facility ready-to-go and a university research backed cultivation process in place. The acquisition of Canadian Cannabis Farmers Co-Op positions Puration for the estimated $5 billion recreational marijuana market expected to be legalized nationwide in Canada this summer. With the acquisition, Puration now has inhouse cultivation experience garnered from the operation of a licensed medical marijuana facility of substantial size. The company plans to apply for a recreational license and anticipates its medical marijuana experience to be of benefit in the recreational license application process. Similar to other Canadian marijuana sector companies such as Canopy Growth Corp. (TWMJF), Aurora Cannabis (ACBFF), Aphria (APHQF), MedReleaf (MEDFF), and OrganiGram Holdings (ORGMF), Puration has plans to build substantial inhouse operations. The company has already received interest from investors in backing the construction of facilities for pursuing the Canadian legal marijuana market. However, in addition to building out inhouse operations, Puration plans to take its acquired expertise to what it expects to be a robust micro-cultivation and micro-processing market. 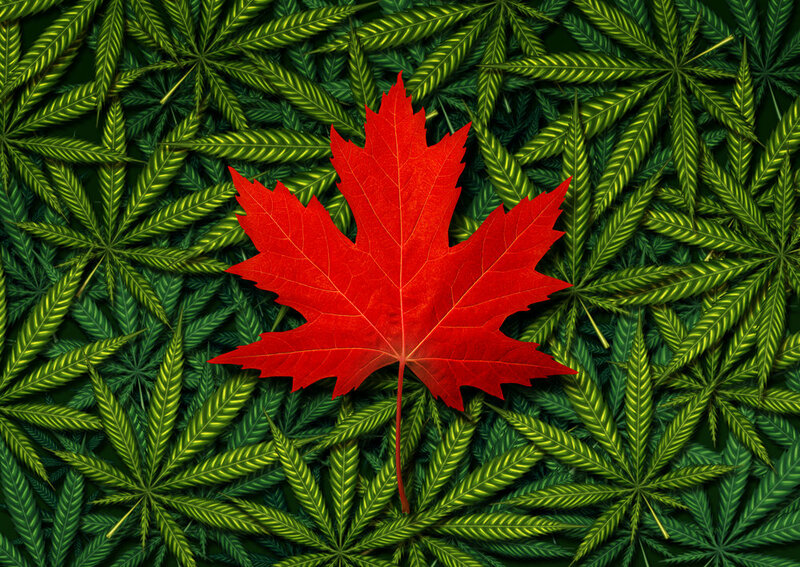 Health Canada recently announced plans to introduce new micro-cultivation and micro-processing licenses. A micro-cultivation license would be issued to an authorized plant canopy area of less than 200 square meters (2,153 square feet), and a micro-processing license allowed for those processing less than 600 kilograms, or 1,323 pounds, of dried cannabis a year. The legalization of recreational marijuana in Canada also includes individual cultivation for up to four plants. Puration plans to serve the micro-cultivation, micro-processing and home-growers market place with products and services necessary for production. By establishing a recognized brand name in cannabis cultivation from its inhouse production, Puration expects to leverage its brand name to tap into the more profitable micro-cultivation, micro-processing and home-growers market place. To help illustrate the opportunity, consider the micro-brewery and home brewing market place in the United States alone. Retail dollar sales for craft micro-brewed beer in the U.S. is approximately $26.0 billion, accounting for more than 23% of the overall $111.4 billion U.S. beer market. Last year, Puration introduced EVERx, a CBD infused sports water. The sales of EVERx yielded over a 60% gross margin as reported in the company’s 2017 annual report. The initial sales have won the interest of additional distributors to include a recently announced national distribution contract. Puration has now designed a THC infused beverage and registered the name THCSavor. The company recently introduced the initial package design for the THCSavor beverage. With the recent acquisition of Canadian Cannabis Farmers Co-Op, Puration plans to leverage the acquired medical marijuana industry experience and traction to rapidly introduce THCSavor into the existing legal medical marijuana market in Canada and later through the pending legal recreational market.